Tachycardia/Arrhythmias; Don’t leave your symptoms undiagnosed! These are several types of Cardiac Arrhythmia; they are simply disturbances of the heart’s normal rhythms. When the different parts of the heart do not beat in synchrony, changes in pressure within the heart can lead to insufficient circulation or even a heart attack (e.g. uncontrolled atrial fibrillation). Tachycardia is the most common form of arrhythmia. I would recommend a cardiac evaluation to rule out structural abnormalities or disease before considering holistic care. Tachycardia – it is a type of cardiac arrhythmia in which the heart rhythm is too fast. For example e.g. atrial fibrillation. Bradycardia – this is also a type of cardiac arrhythmia in which the heart rhythm is too slow. 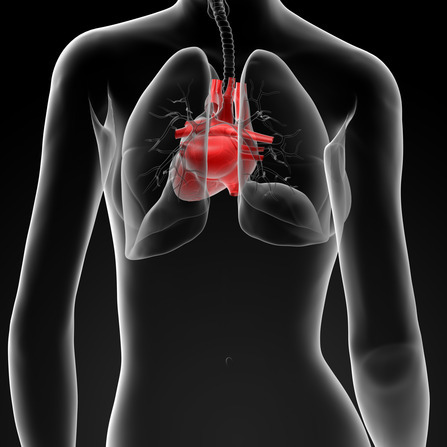 ‘Extra’ Heart Beats – technically known as PACs, PVCs. Bundle Branch Block – which refers to a pattern of the conduction of the electrical signal that is disordered. More typical and less serious symptoms would include palpitations, mild fatigue or mild transient dizziness. These generally do not indicate a life threatening condition, often simply indicate a benign tachycardia. Spells of unexplained severe dizziness, loss of consciousness without warning, family or patient has history of heart disease. The diagnosis of cardiac arrhythmias or irregular heartbeats, such as in tachycardia, can sometimes be obvious and easy or sometimes rather difficult if they are episodic in nature and not chronic or persistent. If you have had spells of unexplained severe dizziness or loss of consciousness without warning, and especially if you have a history of heart disease, then you may have a potentially dangerous type of arrhythmia. Such arrhythmias could include Bundle Branch Block or ventricular tachycardia. If none of your symptoms are picked up during these tests, you will be sent home with a Holter Monitor. This will record the heart rhythms continuously for 24 to 48 hours or whatever length of time the cardiologist recommends. It will also likely be suggested that you consider having a special cardiac panel blood test that is only performed within the hospital environment. I would strongly suggest that you first get a financial quote for this test, as most hospital tests come with a sticker shock price. Severe symptoms usually mandate hospitalization on a cardiac monitor until a definite diagnosis can be made and effective treatment started. In general, most conservative, holistic doctors would first consider running an ECG and appropriate blood chemistry tests, and start the patient off with magnesium supplementation and caffeine avoidance. Many would also want to rule out thyroid and adrenal issues, nutritional deficiencies, food and chemical allergies, heavy metal toxicity, and emotional disturbances. This needs to be done concurrently with a cardiac consult. There are available some well tested and extremely effective wholefood supplements that can be taken to rebuild and strengthen the heart tissue and restore its normal function in many cases. If these are incorporated earlier in the symptom picture, there is a very good chance to resolve any pathological symptoms and the need for toxic drugs and invasive heart surgery. They can also be used after surgical procedures to help feed the heart the nutrients it needs to heal and repair itself. Every effort should be made to get to the underlying cause; and, whenever possible, it should be treated conservatively by an experienced holistic doctor.